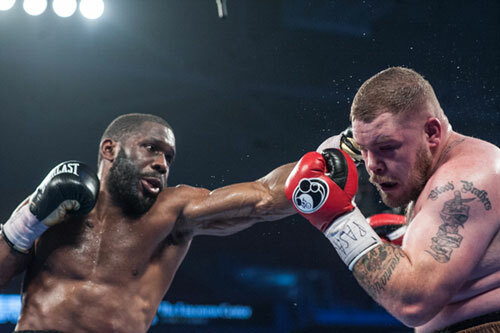 A Philly-centric boxing card in Atlantic City is set to open the Ocean Resort Casino on Saturday night. 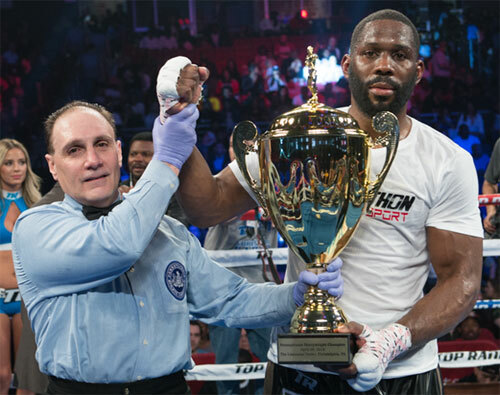 Headlining the ESPN-broadcasted show is North Philadelphia heavyweight contender Bryant Jennings (23-2, 13 KOs) against Russian skyscraper Alexander Dimitrenko (41-3, 26 KOs) in a 12-round contest. Also in action will be Jesse Hart (24-1, 20 KOs) in a defense of his NABF super middleweight title, Camden-based former world champ Jason Sosa (20-3-4, 15 KOs), streaking prospect Christian Carto (15-0, 11 KOs), Millville’s Thomas LaManna (25-2-1, 9 KOs), Allentown’s Joseph Adorno (8-0, 8 KOs), Newark’s Shakur Stevenson (7-0, 4 KOs), and sole non-local Oleksandr Teslenko, 13-0, 11 KOs). The Jennings-Dimitrenko fight is a chance for Jennings, a former world title challenger, to continue his comeback, now four fights strong, as well as to remain relevant in the suddenly interesting heavyweight division and stay in position to seize any opportunity that just might come his way. 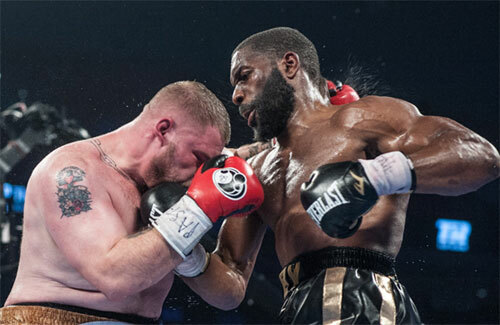 As the division firms into being an all-too-rare single-champion category, with Anthony Joshua and Deontay Wilder on course for a unification match sometime in the not so distant future, a win for Jennings on Saturday would also establish him as the leading American contender for the eventual undisputed world heavyweight champion. However, don’t tell Jennings this. The ranked contender continues to claim that the politics and the ratings of the sport do not interest or affect him. He remains laser focused on his next fight and only considers what a win might do for him once it’s in the bank. This is characteristic of Jennings. He is a fighter that manages to remain focused no matter what is going on around him. He’s done it for big fights and small ones. Nothing interrupts his legendary training ethic and he refuses to fall into the common traps that many fighters do. But Jennings is human. He still hungers for the heavyweight championship, an accomplishment that would, as he says, secure his legacy. And when he sees other fighters get opportunities and achieve what it is he seeks, it challenges his desire to screen out every little distraction. Jennings claims that fighting Dimitrenko is a strategic move for him. The veteran brings a name, a pedigree, and the size of the modern heavyweight giant for Jennings to practice on. The formula is working for Jennings, and he feels he is getting there. He’s done battle with the business of boxing and believes he is learning and making the most of it. That team includes promoter Bob Arum and Top Rank, Jennings’ promoter since 2017. And Jennings feels the chemistry is working. So Jennings punches the clock on Saturday night and takes another step toward his goal of becoming the heavyweight champion. An opportunity to achieve that goal may not come this year, as those higher on the food chain inch toward fighting each other. But Jennings takes it all in stride. He just does what he does, and that has always been just getting in shape, staying focused, and doing his job. No drama. Jennings and the rest of the local crew, including Jesse Hart, Christian Carto, Jason Sosa, Thomas LaManna, Joseph Adorno, and the rest, all go to work on Saturday night.